They’re so cuteeee. It made me smile :] After the guys sang, the real singers SNSD came up and sang the song. These are recently the top 10 hottest k-pop albums as of 2009. On a recent episode of Celebrity Goes to School, Super Junior’s Shindong visited his old high school, Sewon High School. On the show, he talked about his childhood years, as well as his first love. 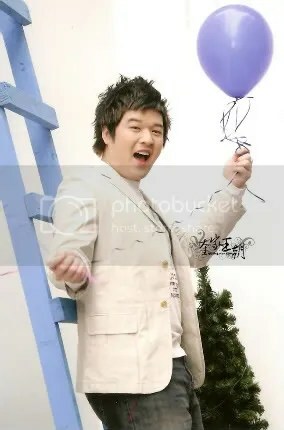 Shindong revealed that his first love had helped him through hard times and encouraged him throughout his years in high school when he and his family had lived in poor conditions. She had also bought groceries for his family every week with her own money, something that Shindong still appreciates to this day. In addition, Shindong received a gift from his fans on the show, which caused him to tear up after having talked about his hardships prior to his rise to stardom. Here are two songs from SM Town 09 Album! Here is that super awesome singer again, singing “Gee” by SNSD and “Sorry Sorry” by Super Junior. “Sorry Sorry” is around 1:20 i think. We learned about the soccer team in an interview with SHINee. Onew said, “In our company, we have SM United. We haven’t had a official match before but we are very happy to be together, it’s very interesting.” When a group joins SM Entertainment, they begin their unofficial careers as soccer players on SM United. Each member of the team has their own uniform.